Whether you’re an avid artist looking to brush up on some skills, or a novice looking to learn I have some great books to help you out. These will help you learn the art of illustration. From birds, plants, dogs, and really neat optical illusions. Are you ready? Okay artsy fartsy followers, get out your pencils, erasers, sharpeners and sketch pads! We’re going to earn the art of illustration. It’s a great way to unwind after a long day and keep your skills from getting rusty too! Nature is gorgeous. From the tiniest of birds and flowers to the largest. If you’re like me and captivated by it’s beauty, then this book, The Art of Botanical & Bird Illustration is for you. 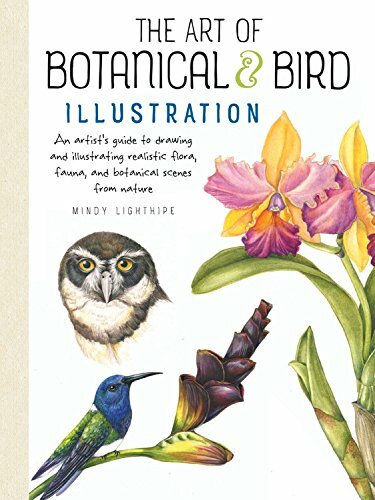 Mindy Lighthipe teaches you key techniques and to help artists deepen their understanding of flora and fauna. This leads to to you learning to draw, paint and color them. She will teach you to draw them and use watercolors, pastels, colored pencils, and more to color your fantastic illustrations. Speaking of flora, this book from the Walter Foster creative team has more than fifty projects to fulfill your creative needs. You will learn techniques for drawing, painting, and coloring flowers and botanicals. In medium such as oil paints, acrylic paints, watercolor and more. 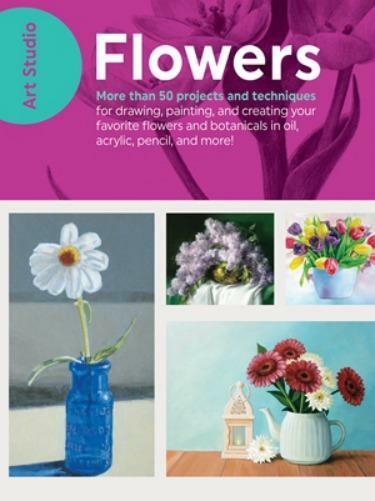 Art Studio: Flowers is chock full of instructions and illustrations to get you creating. I love dogs. Short ones, tall ones, tiny ones, it doesn’t matter, I love them all! 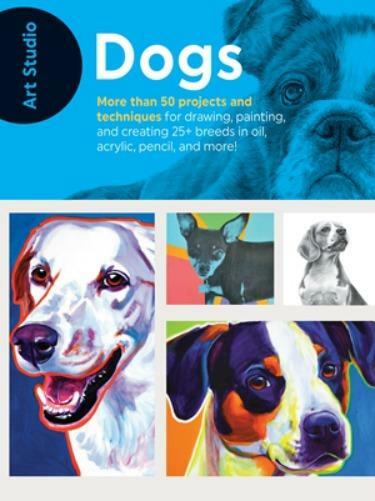 If you share my affinity for our four legged best friends than Art Studio: Dogs is for you. Much like it’s Flowers counterpart this one also has over fifty projects, and covers more than twenty five breeds. Create your bestie in pencil, oil, watercolor, acrylic, and more. Have you seen those videos floating around social media, of people sketching or painting optical illusions? I have and they always captivate me. 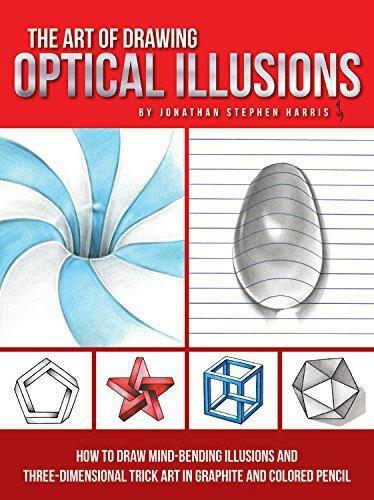 When I found Johnathan Stephen Harris’ book, The Art of Drawing Optical Illusions, I had to have it! His awesome book will teach you how to draw three dimensional trick art, and mind-bending illusions in both graphite and colored pencils. This book is legit, and I’m in love! All of these spectacular titles are brought to you by Quarto Knows. Be sure to follow them via Facebook, Twitter, and Snapchat too.